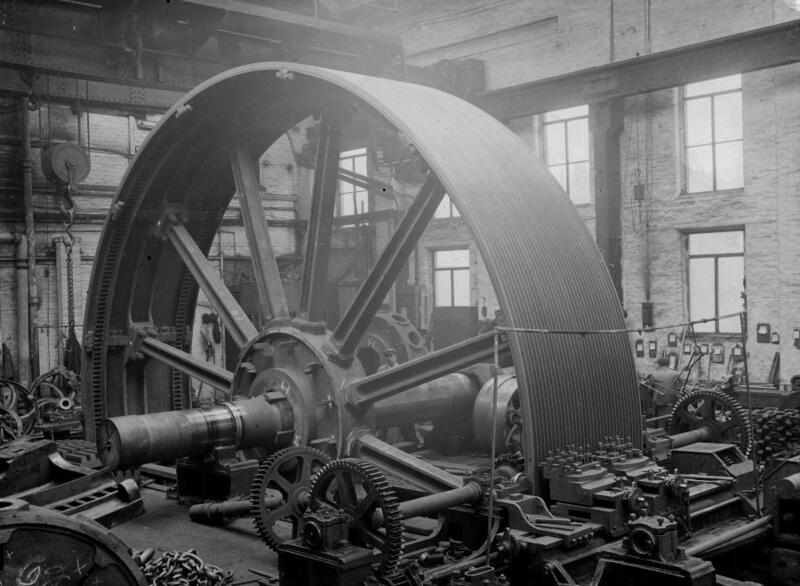 This is the flywheel for a large textile mill steam engine, and has been set up in order that the grooves for the ropes driving the mill can be machined, the saddle with two tool posts on it may be seen to the front of the wheel. When machining is complete this wheel would have been taken apart for shipment to the site where the engine was being erected, temporary wedges can be seen securing the spokes to the hub of the wheel. A temporary shaft may have been used for machining the wheel, which was held securely to the shaft by steel stakes and wedges.